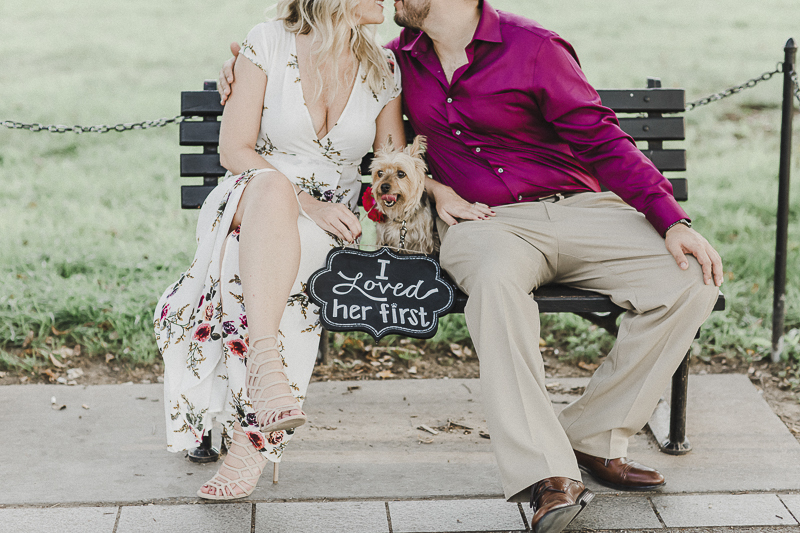 Madi, the Yorkie, joined Brittany and Johnny for their DC engagement portraits with M Harris Studios. I absolutely love the sign that I thought was a reminder to Johnny from Madi. However, I might be wrong about that! 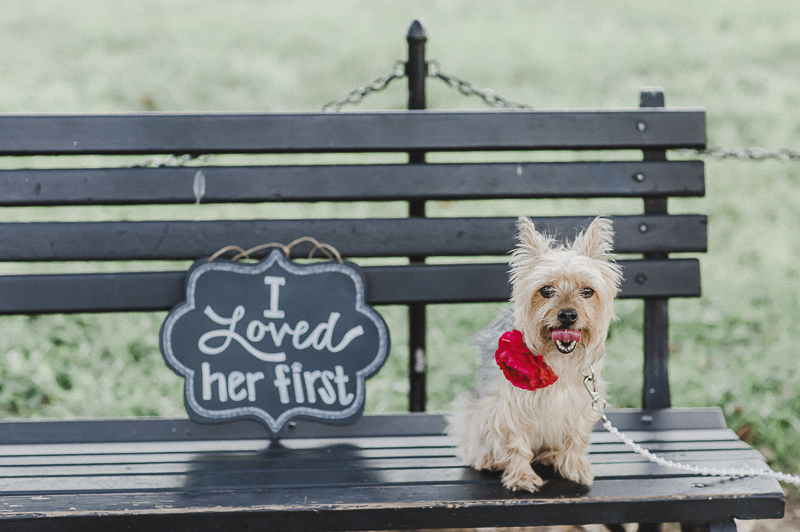 From Brittany: “Madi is a Yorkie. I got Madi in college, she has been my little sidekick since day one. Follow M Harris Studios on Instagram. 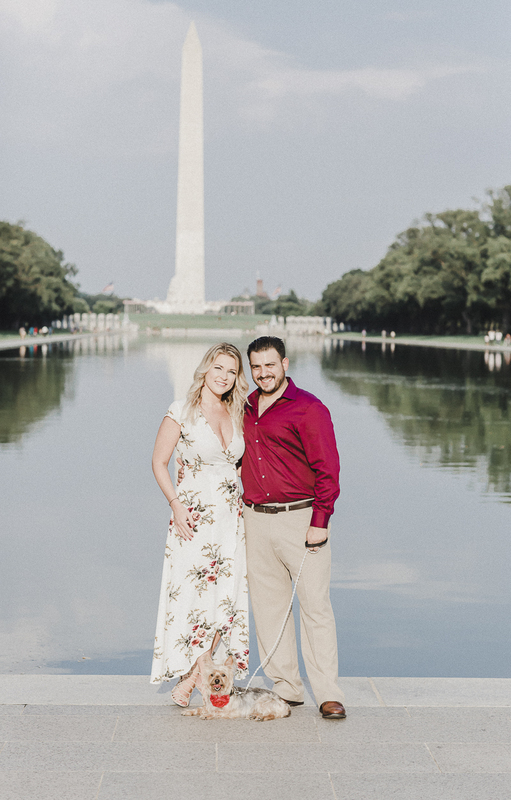 About M Harris Studios: Based in Fredericksburg, Virginia, Michelle Harris specializes in luxury weddings. Michelle also has a Yorkie. What a cute sign! Aw…. that’s adorable. Lovely photos. What a cutie. And beautiful couple. The sign is perfect! 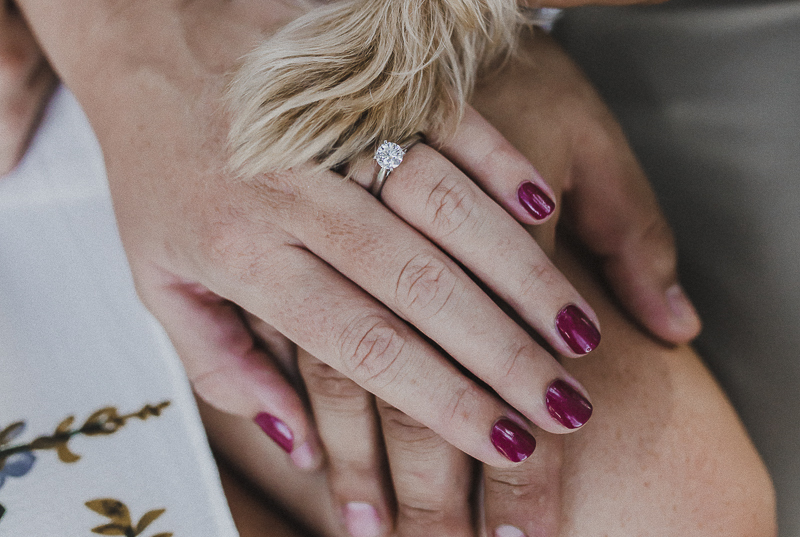 And I think it should be part of every engagement/wedding/starting-new-life-together when a pet is involved. It says everything that’s important! What beautiful pictures, they’re lucky to have such wonderful memories as they start their new life together. The sign is definitely a fabulous touch, and a great reminder to her future husband. Omg this is adorable!!!! Congrats!!! Oh goodness! These are too precious! That little yorkie is adorable! How true–I love the sign! My sister had one that said, “Love me, love my dog.” Our pets are sometimes our first true love. Great photos! 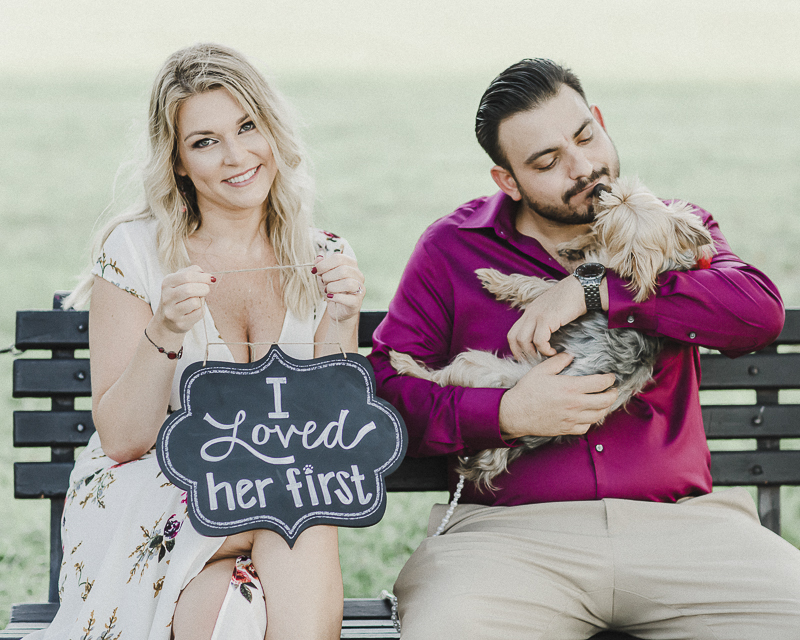 Your dress is GORGEOUS and these pictures are perfect! COngratulations!!! I need to see those photos! Oh I love the sign. That such a unique and clever touch. DC is always a memorable experience too. Congrats to the happy couple! Great shoot. Thisis totally gorgeous. If I was the engaged couple I would be totally thrilled!!! Wow. these are great! 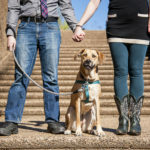 i wish I had known wayyyyy back when – I would of included my dog too!